Rashomon Gate - Audiobook | Listen Instantly! 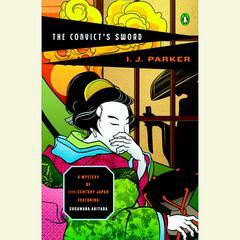 A riveting historical mystery set amid the exquisite ritual and refined treachery of eleventh-century Japan. Sugawara Akitada is the son of impoverished nobility toiling at a low-level job in the Ministry of Justice. When an old friend, Professor Hirata, asks him to investigate a colleague’s blackmail, Akitada takes leave of his stultifying job for a temporary post at the Imperial University. There he finds gossip and rivalry abounding. A young girl is murdered. An old man mysteriously vanishes, and the Emperor declares it a miracle. Plunging into a labyrinth of conspiracy among the court’s most esteemed nobles, Akitada must step carefully while gathering clues to the puzzle before him. From the Compact Disc edition. Download and start listening now!
" A very enjoyable mystery with the added attraction of depicting an interesting era of Japanese history. " " I listened to the audio book version on cd, not listed among the editions. This is the second of these I've listened to while I deliver mail, and I find the stories engaging and enjoyable. " 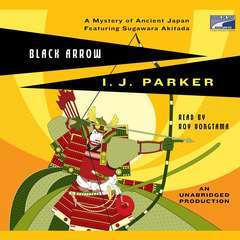 " Pretty interesting start to a detective series in sort-of ancient Japan. A little formality with some of the characterizations and plotting, but certainly fits with the time and place. " " Another great one in this series. " " Enjoyable mystery/historical fiction. Be patient - the first quarter of the book is pretty slow. Once it gets going it's good. " " Rashomon Gate is the second book in the Sugawara Akitada series. These are mysteries set in Japan in the 11th century. Sugawara Akitada is an official at the Ministry of Justice. In Rashomon Gate he is looking into blackmail that has taken place at the University. An excellent read. " " This was on a suggested reading list for our upcoming trip to Japan. Enjoyed it more than I had anticipated. 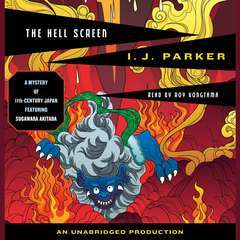 It's a mystery (or mysteries as the case may be) set in Ancient Japan. While not a page turner, it was very readable and gave a little insight into the culture at the time. " " Another great one with Akitada. " " This was a nice historical mystery. I really liked the fact that it had a list of characters as well as two maps! The setting of eleventh century Japan was novel. The historical notes in the back were great. I will need to remember this author. " " very interesting ... i like it "
" Those who know me well know that I will cry at movies, but that I will rarely cry while reading books. Rashomon Gate was that rare book that succeeded to bringing me to tears. 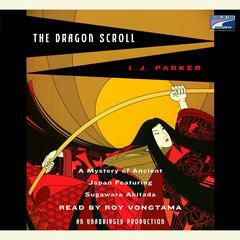 It is a mystery set in the eleventh century Japan. If you love historical Japan, you will enjoy this book. " " I love period detective books, this is great and I will read more...historical context, angst (but not over the top)... "
" Ceritanya biasa saja, sisi latar belakang sejarahnya yang menarik. " " Hanya baca satu bab karena satu dan lain hal. Tapi seru, karena aku suka fiksi Jepang dan ceritanya berkaitan dengan hukum. " " Overall, this was a pretty interesting read. I bought this book for 3 dollars at strand so I was not expecting much. I was pleasantly surprised. It's basically a detective story and plays out just like a movie would. It's not anything original, but a good read nonetheless. " 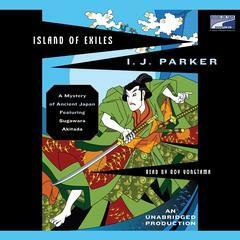 I. J. Parker, winner of the Shamus Award for “Akitada’s First Case”, a short story published in 1999, lives in Virginia Beach, Virginia. She writes regularly for Alfred Hitchcock’s Mystery Magazine.